Recently, I finished reading two books and listening to another. 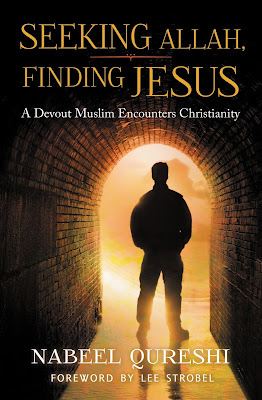 I'd started reading Nabeel Qureshi's Seeking Allah, Finding Jesus: A Devout Muslim Encounters Jesus, a while ago, but had set it aside in order to turn my attention to two other books--one that my Navigators coach, Bill Mowry, wanted me to read and another one recommended me to by my son. The Qureshi book is an important one, especially given the penchant of some in the post-911 US, who erroneously think that all religions are the same and when others, in the name of tolerance, claim that all religions can lead people to God. Qureshi was raised in a devout Muslim home and was himself an avid believer. But when he went to Old Dominion University, on his way to medical school, he met David, a mate on the school debate team, who was a deeply committed follower of Jesus. In the context of their friendship, Qureshi became committed to proving the superiority of Islam and the errors of David's Christianity. To do so, he dug into not just the Qu'ran and Muslim teaching, but also the Bible and Christian teaching. Qureshi chronicles a series of jarring insights that led him, with heart, head, and will to accept that Jesus is the crucified and risen "way,...truth,..and life" (John 14:6) and that Islam isn't a witness of God. As he writes in the book's introduction: "As I studied Islam more carefully, what I learned shook my world: there is no good reason to believe that either Muhammad or the Quran teaches the truth about God." It hasn't been an easy road for Qureshi since coming to faith in Christ. But he has remained steadfast in following Christ, even now as he fights stomach cancer. This book is not a rabid polemic against Islam. Qureshi sensitively and lovingly explains Islamic belief with a love for his own family members and for Muslims alike. In the bargain, he helps Christians and others to more clearly and sensitively understand Islam. I can't recommend Seeking Allah, Finding Jesus highly enough. My wife and I (and our kids when they were young) have always made a habit of reading books in the car on jaunts of any distance. I'm the reader, since, as I've explained here before, I'm the only family member who can read while traveling without barfing. 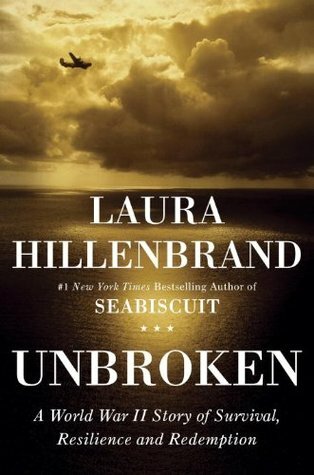 But, a few weeks ago, I found the audio version of Laura Hillenbrand's Unbroken: A World War II Story of Survival, Resilience, and Redemption, a book which was made into an unfortunate and less than faithful to the text movie by producer Angelina Jolie. So, instead of my reading, we listened to the late, great Edward Herman read Hillenbrand's riveting telling of the story of Louis Zamperini, Olympic gold medalist and World War II hero and POW. Much of the book is taken up with Zamperini's wartime experiences, which included a harrowing time on a raft in the Pacific after the bomber on which he was a crew member was shot down and his even more harrowing experiences in Japanese POW camps. He endured almost unimaginable privations, daily beatings, and starvation. His survival is certainly in miracle territory. After the war, Zamperini met and fell in love with Cynthia Applewhite and they married. But the war hadn't ended for Louis. Like many veterans, he suffered from PTSD, horrible flashbacks, and increasing intervals of sullen hatefulness. He sank into alcoholism. Eventually, Cynthia filed for divorce and Zamperini's life seemed to spiral ever more out of control. He'd never had much exposure to or interest in religion. In fact, it turned him off completely. And though he'd had what can be described as encounters with God during some of his worst experiences of the war, he never seemed to give God a thought. Neither really had Cynthia. But not long after she filed for divorce, she attended Billy Graham's famed Los Angeles mission. The year was 1949. Cynthia received Christ by faith for the first time and His presence in her life made an immediate change in her outlook. She announced, to Zamperini's surprise and delight, that she wasn't divorcing him. But soon his delight was mixed with anger as Cynthia pressed Louis to attend one of Graham's crusade events and meet Christ for himself. He resisted, but finally relented. He attended one night, but left as soon as Graham completed his sermon. Implausibly, he told Cynthia he would attend one more gathering if she would promise to never pester him about it again. It was that night, through Graham's preaching, the God's grace given in Christ, met Zamperini's deepest needs: forgiveness, the ability to let go of his past, freedom from his addiction, a purpose for living, life with God. He never drank again. He never experienced another horrific dream of the beatings he endured during the war. His desire for vengeance, a desire that had grown so deep that he had been saving money in order to go to Japan in order to kill his primary tormentor. Eventually, Zamperini became the director of a camp that transformed the lives of troubled kids like he had been and an evangelist who preached around the world about the power Jesus gives to His believers to forgive those who have hurt us so that we can live the life God has in mind for us. He even forgave and called to faith those who had menaced and beaten him when he was a POW. He died in 2014 at the age of 97. In January, 1998, before the Olympics in Nagano, Japan, he ran a leg of the Olympic torch relay, passing the camp where he had been interned. Whether you read it or listen to it, Hillenbrand's riveting narrative of this remarkable man's life is moving and inspiring. Like Qureshi, Zamperini found life in Jesus Christ. So can anyone. 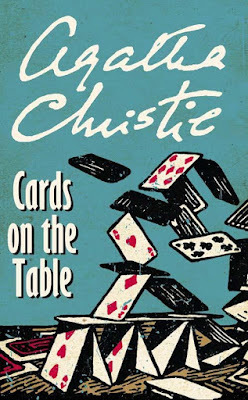 The final book I'll mention is pure and delightful brain candy: Agatha Christie's Cards on the Table, a 1937 book that features her famous fictional detective (who she came to detest), Hercule Poirot. 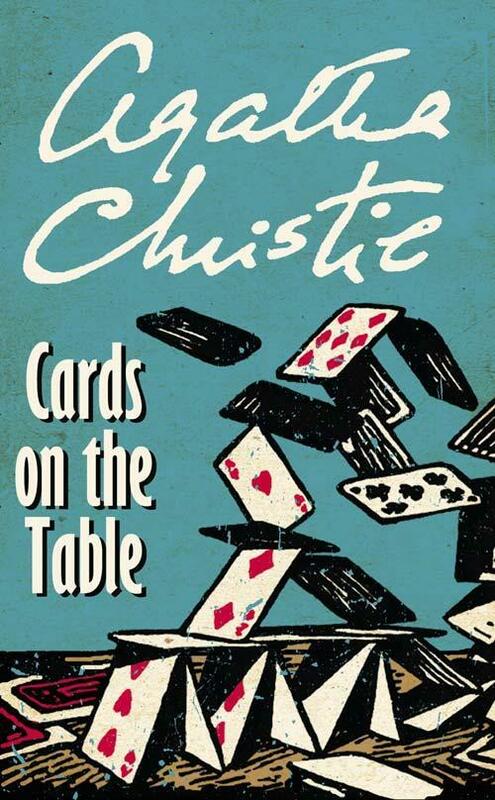 I love Christie's books and picked this one up for ten cents at a library book sale in Georgetown, Texas earlier this year. It's a great read.